2017 — Saw action in all 13 games, earning 12 starts ... Led the team with 18 pass breakups on the year ... Finished the year with 42 total tackles including four tackles for loss and one sack ... The No. 1 rated defensive back in the Pac-12 according to Pro Football Focus ... Recorded second career interception against Boise State in the Las Vegas Bowl ... Finished bowl game with four tackles and one pass breakup ... Tied career-high with three pass breakups against Nebraska and Utah ... Accounted for two tackles against NU ... Logged three tackles against the Utes ... Made five tackles against Southern Utah ... Also recorded two pass breakups ... Recorded five tackles, including one tackle for loss, at Arizona State and Stanford ... Also recorded two pass breakups against the Sun Devils ... Logged four tackles and two pass breakups against Arizona ... Made four tackles, including second career sack, at Wyoming ... logged one pass breakup against the Cowboys ... Recorded three tackles and one pass breakup at UCLA ... Logged three tackles at Washington ... Made two tackles and one pass breakup against Washington State ... Recorded one tackle and one pass breakup against Cal and Oregon State ... A Pro Football Focus First-Team All-Pac-12 selection ... Received Honorable Mention All-Pac-12 honors. 2017 — Started 12 games at safety finishing the season with 48 total tackles including two tackles for loss ... Also logged five pass breakups and two fumble recoveries throughout the seaosn ... Recorded a season-high seven tackles at Stanford ... Also had one pass breakup at SU ... Tied career high with seven solo tackles against Arizona while recording one pass breakup ... Returned an interception 100 yards for his second-career touchdown against Boise State in the Las Vegas Bowl ... Finished the bowl game with four tackles and one pass breakup ... Logged five tackles at Arizona State while recording fourth career tackle for loss ... Made three tackles at Wyoming ... Logged first pass breakup of the year against the Cowboys ... Also recovered a fumble for 30 yards ... Made four tackles against UCLA, Utah and Washington ... Recorded three tackles and one pass breakup against Washington State ... Logged three tackles against Oregon State ... Saw first action of the season starting in the game against Nebraska ... Finished with two tackles and one interception against the Cornhuskers ... Logged two tackles, including one tackle for loss, against Cal ... Todd Doxey Award recipient as voted on by teammates. 2017 — Saw action in 12 games, earning five starts ... Finished the year with 27 total tackles including 7.5 tackles for loss ... Second on the team with 5.5 sacks ... Recorded a season-high four tackles against Utah including one tackles for loss and one QB hurry ... Accounted for three tackles at Wyoming ... Also recorded one sack for a four yard loss and one pass breakup against the Cowboys ... Recorded three tackles, one sack, against Washington State ... Made two tackles including a sack for a seven yard loss against Nebraska ... Recorded first pass breakup at Oregon against NU ... Logged three tackles at Arizona State ... Accumulated two tackles, one for a loss, against Arizona and Oregon State ... Made two tackles at Stanford and Washington ... Recorded one tackle against Southern Utah sacking the quarterback for a nine yard loss ... Made one tackle against Boise State in Las Vegas Bowl ... Assisted on two tackles and one sack against Cal. 2017 — Appeared om eight games making one start against Washington State ... Finished the season with 210 all-purpose yards, rushing for 95 yards off 18 carries and catching 11 passes for 68 receiving yards ... Caught a career-high five passes against Washington State for 29 yards ... Also rushed for three yards off two attempts against the Cougars ... Saw first action of the year at Wyoming recording one reception for 20 yards and a touchdown ... Also rushed for 35 yards off six carries against the Cowboys ... Tied career high with three receptions against Cal for 11 yards ... Recorded seven-yards rushing off two attempts against the Golden Bears ... Caught two passes for eight yards while rushing for 26 yards on three carries against Utah ... Rushed for 21 yards off four carries against Oregon State ... Finished with 40 all-purpose yards against the Beavers, tying career-long kickoff return of 19 yards ... Ran for three yards on only attempt at Arizona State ... Returned first career kickoff against Stanford finishing the game with two returns totaling 28 yards. 2017 — Made eight appearances, earning one start against Stanford ... Finished the season with six total tackles ... Earned first career start at Stanford assisting on one tackle ... Made Oregon debut against Wyoming ... Recorded first career tackle at UO against California finishing the game with two ... Tied season-high with two tackles against Boise State in the Las Vegas Bowl ... Made first solo tackle at Oregon against Oregon State finishing with one tackle. 2017 — Started in 10 games finishing the year second on the team with 404 receiving yards off 32 catches ... Also rushed for 25 net yards off 11 attempts ... Only player to record one receiving, one rushing, and one passing touchdown ... Recorded a career-high 117 receiving yards against Nebraska matching career high with eight receptions ... Caught first receiving touchdown of the year against the Cornhuskers ... Led the team with 99 receiving yards against Southern Utah ... Rushed for 11 yards and one touchdown against the Thunderbirds ... Recorded four catches for 74 yards against Arizona finishing the game with 140 all-purpose yards ... Completed first career pass for 22 yards and a touchdown against Utah ... Also pulled down two catches for nine yards against the Utes ... Caught two punts recording 24 return yards to finish the game with 134 all-purpose yards ... Recorded 40 yards receiving off four catches at UCLA ... Pulled down two receptions against Wyoming for 27 yards ... Rushed for five yards on only attempt at Stanford ... Recorded four kickoff returns at Washington culminating in 90 yards ... Also led the team with four catches for 18 yards against the Huskies, while rushing for two yards on only attempt ... Recorded two catches for 12 yards in Las Vegas Bowl against Boise State ... Also returned two kickoffs against the Broncos for 46 yards to finish the game with 58 all-purpose yards ... Caught one pass for eight yards against Oregon State while returning two kickoffs for a total of 52 yards ... Honorable Mention All-Pac-12 selection. 2017 — Made appearances in 10 games finishing the year with 12 total tackles ... Tied career-high with three tackles against Southern Utah ... Also broke up one pass against SUU ... Made two tackles against Utah and Oregon State ... Assisted on one tackle at Wyoming ... Recorded one tackle at Arizona State ... Returned first career kickoff for 27 yards at Stanford ... Made one tackle against the Cardinal ... Returned two kickoffs for a career-high total of 33 yards while making one tackle at Washington ... Recorded first career interception against Arizona finishing the game with one tackle. 2017 — CoSIDA First-team Academic All-American and All-Academic District 8 selection ... Started in eight games missing five games due to injury during the California game ... Finished the year with a 167.51 passer rating going 139-of-206 for 1,983 yards passing and 15 touchdowns ... Averaged 247.9 passing yards per game ... Third on the team with five rushing touchdowns accounting for 183 rushing yards ... Returned from injury against Arizona, finishing the game with 253 yards passing and one touchdown off 14-of-21 passing ... Also rushed for 49 yards, including a career-long 40-yard rush, and one touchdown against the Wildcats ... Went 26-of-36 in Las Vegas Bowl for 233 yards and two touchdowns while rushing for a team-high 17 yards ... Responsible for a season-high four touchdowns against Arizona State and Oregon State, throwing three and rushing for one ... Threw for 281 yards against ASU off 19-of-35 passing ... Closed the regular season throwing for 251 yards off 13-of-23 passing against OSU ... Finished the game against Nebraska 25-for-33 throwing for 365 yards and three touchdowns ... Recorded all three touchdowns in the first half against NU on 21-of-25 passing for 313 yards ... Earned the Davey O’Brien “Great 8” award following his performance against the Cornhuskers ... Completed 17-of-21 passes for 281 yards and one touchdown in season opener against Southern Utah ... Threw for 251 yards off 18-of-29 passing against Wyoming ... Recorded his first rushing touchdown of the season accumulating 30 yards rushing against the Cowboys ... Recorded two touchdowns, one rushing and one passing, in first quarter against Cal before leaving the game due to injury ... Went 7-of-8 for 86 yards passing against Cal ... Named a Pro Football Focus First-Team Al-Pac-12 selection ... First-Team Academic All-Pac-12 ... Received UO's Offensive MVP and Academic Excellence Award honors as voted on by teammates. 2017 — Appeared in seven games his freshman season making five starts ... Finished the season 44-of-77 for 330 yards passing while throwing two touchdowns and six interceptions ... Rushed for a season-total of 102 yards and three touchdowns off 64 attempts ... Earned first career start against Washington State, finishing the game with 145 yards off 15-of-27 passing ... Recorded first passing touchdown against the Cougars ... Ran for 27 yards and a career-high two touchdowns off a single-game high 16 attempts at UCLA ... Threw for 74 yards off 8-of-15 passing against the Bruins ... Ran for a career-high 38 yards at Washington while throwing for 31 yards off 7-of-13 passing ... Recorded 47 yards passing and a touchdown off 9-of-12 passing against Utah ... Rushed for 31 yards and first career rushing touchdown at Stanford ... Threw for 23 yards off 3-of-8 passing against the Cardinal ... Made Oregon debut in the fourth quarter against Cal ... Completed only pass attempt for four yards ... Completed one pass for six yards in regular season finale against Oregon State. 2017 — Saw action in all 13 games, earning 11 starts ... Finished the year with 59 total tackles including 11.5 tackles for loss and 3.5 sacks ... Forced a team-high three fumbles throughout the season ... Scored first career touchdown against Oregon State returning his frist career interception 11 yards for the score ... Finished the game with four tackles, including one tackle for loss, against the Beavers ... Accumulated six tackles in the season opener against Southern Utah including one sack ... Followed that up with five tackles against Nebraska and 1.5 tackles for loss ... Recorded first career forced fumble against NU ... Made five tackles, including one sack, in Las Vegas Bowl vs. Boise State ... Set career-high with 1.5 sacks against Cal finishing the game with six tackles and a forced fumble ... Made six tackles, including 1.5 tackles for loss, at Washington ... Recorded four tackles, including one tackle for loss, at Wyoming ... Forced a fumble against the Cowboys ... Logged six tackles, including a season-high two tackles for loss, at Arizona State ... Recorded six tackles at UCLA ... Logged four tackles and one QB hurry against Utah ... Recorded four tackles, one tackle for loss and one QB hurry against Arizona ... Made two tackles against Washington State ... Assisted on one tackle at Stanford. 2017 — Appeared in eight games during his final season at Oregon ... Finished the year with 134 yards off 19-of-27 passing ... Rushed for a season total of 41 yards and a touchdown on nine attempts ... Went 9-of-13, both career-highs, against Cal for 41 yards passing before being sidelined due to injury late in the game ... Also rushed for 17 yards off three attempts against the Golden Bears ... Saw action late in season opener against Southern Utah finishing 6-for-6 with 74 yards passing ... Recorded a four-yard touchdown run against SUU finishing the game with 10 yards rushing ... UO’s go-to holder on special teams ... Appeared in the game against Wyoming attempting one pass while rushing for 18 yards off one carry ... Completed two passes off five attempts against Stanford for 10 yards ... Went 2-of-2 for nine yards in final regular season game against Oregon State ... Honorable Mention Academic All-Pac-12 selection. 2016 —Holder for 10 games. 2017 — Saw action in six games finishing the year with eight tackles including one tackle for loss ... Recorded a career-high three tackles, including first career tackle for loss, in Las Vegas Bowl vs. Boise State ... Logged two tackles against Utah and Washington ... Recorded first career tackle at Stanford ... Made his debut against Washington State. 2017 — Started in 12 games finishing the year as Oregon's top wide receiver with 517 receiving yards and four touchdowns off 42 catches ... Made a career-high nine catches in Las Vegas Bowl against Boise State finishing the game with a career-high 143 receiving yards, including a career-long 67-yard catch ... Recorded 119 receiving yards for two touchdowns off six catches against Oregon State ... Caught first career touchdown reception against Nebraska ... Accumulated 80 receiving yards off five catches against NU ... Logged five catches for 61 yards and a touchdown at Arizona State ... Recorded a career-high 29 punt return yards against the Sun Devils ... Made first career start against Southern Utah ... Caught two passes for 11 yards ... Recorded a career-high six receptions at Wyoming for 65 yards ... Tied career-high against Arizona with six receptions for 25 yards ... Rushed for career-high 17 yards off three carries at UCLA ... Recorded one catch for six yards against Utah ... Caught one pass against Cal for three yards ... Made one catch for four yards at Washington. 2017 — Saw action in all 13 games finishing the season with 25 total tackles and five pass breakups ... Recorded a career-high five tackles at Arizona State ... Made three tackles, including a career-high one tackle for loss, in Las Vegas Bowl against Boise State ... Caught first career interception at Stanford while tying career-high with five tackles ... Made three tackles including assisting on one tackle for loss at Washington ... Logged a career-high two pass breakups against Arizona while making one tackle ... Recorded two tackles and one pass breakup against Utah ... Logged two tackles against Oregon State ... Made first career tackle at Wyoming ... Made Oregon debut in the season opener against Southern Utah ... Recorded one pass breakup against SUU and Cal ... Made one tackle against Washington State ... Assisted on two tackles at UCLA. 2017 — Saw action in 11 games earning starts against Nebraska, Wyoming and Arizona State ... Finished the year with 22 total tackles and three pass breakups ... Recorded a career-high six tackles at Stanford ... Logged five tackles, three solo, at Arizona State ... Earned first career start in the game against Nebraska recording three total tackles and one pass breakup ... Logged three tackles at UCLA ... Recorded two tackles in collegiate debut against Southern Utah ... Broke up a career-high two passes at Wyoming while adding one tackle ... Made one tackle against Utah and Boise State. 2017 — Saw action in eight games finishing the season with five total tackles ... Recorded three tackles in the season opener against Southern Utah ... Assisted on one tackle for loss against Oregon State while recording one pass breakup ... Assisted on one tackle against Cal. 2017 — Saw action in 11 games earning starts in the final seven games of the season ... Finished the year with 65 total tackles including three tackles for loss ... Tied career-high with 13 tackles at Washington including a career-best 1.5 tackles for loss ... Led Oregon with 10 tackles against Boise State in the Las Vegas Bowl ... Earned first start of the year at Stanford finishing with nine tackles ... Made eight tackles, including one tackle for loss, at UCLA ... Logged seven tackles, one QB hurry and a forced funmble against Arizona ... Recorded four total tackles against Southern Utah ... Logged two tackles and a quarterback hurry against Washington State ... Assisted on one tackle at Wyoming ... Made one tackle against Arizona State and Cal. 2017 — Saw action in all 13 games earning his first career start against Southern Utah ... Finished the year with 14 total tackles including one tackle for loss ... Recorded a career-high five tackles against SUU ... Logged four tackles, including 0.5 tackles for loss, against Oregon State ... Made two tackles while assisting on first career tackle for loss against Washington State ... Recorded one tackle against Wyoming, Cal and Arizona ... Made one pass breakup vs. Boise State in Las Vegas Bowl. 2017 — Saw action in 12 games making starts against Utah and Washington ... Finished the year with 498 rushing yards and two touchdowns off 93 attempts ... Also caught six passes on the year for 89 yards and one touchdown ... Recorded a career-high 238 all-purpose yards against Southern Utah returning the opening kickoff 100 yards for a touchdown ... Rushed for 32 yards off nine attempts ... Reeled in two passes for 49 yards ... Recorded a season-high 124 yards rushing off a career-high 19 attempts against Arizona ... Ran for 105 yards and one touchdown off six carries in first start of the season against Utah ... Caught second career touchdown pass at Arizona State recording a career-high 55 yards receiving ... Logged 90 all-purpose yards against the Sun Devils rushing for 10 yards off one carry ... Tied his career-high with four receptions while adding 16 rushing attempts against Cal to finish the game with 118 all-purpose yards ... Ran for 76 yards and first rushing touchdown of the season against Cal while recording 21 receiving yards ... Recorded 54 yards on the ground off seven carries at Stanford ... Also returned three kickoffs for a total of 60 yards against the Cardinal ... Ran for 37 yards at Washington off six carries ... Finished with 78 all-purpose yards against Washington State rushing for 16 yards off three attempts ... Accounted for 24 all-purpose yards against Nebraska with six carries for seven yards ... Had 21 all-purpose yards in Las Vegas Bowl against Boise State rushing for 13 yards while making four catches for eight yards ... Recorded 17 yards rushing off a season high 10 attempts at Wyoming ... Also caught one pass for nine yards against the Cowboys ... Ran for seven yards off three attempts against Oregon State. 2017 — Made appearances in eight games, earning four starts ... Finished the season with 24 total tackles ... Set a career-high with six tackles against Cal ... Logged a career-high five solo tackles against Washington State ... Recorded four tackles against Nebraska ... Made three tackles in first career start against Southern Utah ... Logged two tackles at Wyoming and UCLA. 2017 — Made nine appearances in his first season at Oregon accounting for 182 rushing yards and one touchdown off 30 carries ... Made his UO debut against Cal rushing for 27 yards and one touchdown off five carries ... Rushed for a career-high 43 yards off eight carries at Washington ... Recorded a career-long 34-yard run against Arizona finishing the game with 39 yards on the ground off four attempts ... Recorded 30 rushing yards off seven attempts at UCLA ... Returned first career kickoff at UCLA for 31 yards ... Ran for 19 yards off two carries against Washington State ... Recorded a 17-yard run off his only attempt at Stanford ... Accumulated 14 all-purpose yards against Oregon State catching one pass for seven yards and rushing for seven yards off three attempts ... Caught two passes for eight yards against Boise State in Las Vegas Bowl. 2017 — Did not see any action during the 2017 season ... Recorded two solo tackles, one sack and one tackle-for-loss during the Spring Game. 2017 — Saw action in 11 games ... Made first career catch at UO for 27 yards against Southern Utah ... Also recorded one rush attempt for nine yards against SUU ... Honorable Mention Academic All-Pac-12 selection. 2016 — Saw action in 11 games during the season, starting two games ... First career start vs. Colorado and second vs Oregon State ... Recorded 12 unassisted tackles and three assisted ... Returned a punt for five yards at Stanford. 2015 — After beginning fall camp at wide receiver, he was switched to the defensive secondary shortly after the start of the season ... Displayed ability to receive playing time as a true freshman yet proved to be a tremendous asset on scout teams during his redshirt year ... Accomplished steady improvement during the 2016 spring practices, culminating in one assisted tackle and a pass broken up in the Spring Game. 2017 — Saw action in 11 games finishing the year with 23 total tackles ... Broke his career-high with five tackles, three solo, against Cal ... Recorded three tackles, one pass breakup and first career interception at Washington ... Logged four tackles, one QB hurry, and first career pass breakup against Utah ... Made three tackles at Stanford ... Recorded two tackles against Washington State and Oregon State ... Made his Oregon debut at Wyoming recording one tackle ... Also made one tackle against Arizona State, UCLA and Boise State in the Las Vegas Bowl ... Honorable Mention Academic All-Pac-12 selection. 2017 — Did not see any action during 2017 season. 2017 — Saw action in 12 games during his freshman season recording six total tackles ... Recorded four tackles in collegiate debut against Southern Utah ... Made two tackles against Cal. 2017 — Did not see any action during the 2017 season. 2016 — Did not play in any games during the season. 2015 — Still awaiting his collegiate debut but maintained a solid presence in practice as part of the program's scout teams . . . Was named the Ducks’ scout team’s offensive player of the week for his efforts in aiding preparations heading into the Arizona State win . . . Caught one pass for 8 yards in the Ducks' 2016 Spring Game. 2014 — The walk-on joined the team following the start of classes in the fall, serving his apprenticeship as a member of the scout team with stints at both defensive back and wide receiver. BEFORE OREGON — The two-year starting quarterback began his prep career for the Cardinals as a wide receiver and defensive back his sophomore season . . . Accumulated 518 yards passing and six touchdowns his final two seasons in addition to running for 899 yards and eight scores while posting 67 tackles since the start of his sophomore campaign . . . Doubled as a basketball standout, earning first-team all-Northern League honors his senior year while averaging 8.3 points, 2.1 rebounds and 2.0 assists. 2017 — Saw action in 10 games finishing the year with 122 all-purpose yards, 63 rushing yards and 59 receiving yards, and two touchdowns ... Ran for first career touchdown against Oregon State finishing the game with a career-high 51 rushing yards to go along with a career-high 31 receiving yards off two receptions ... Recorded first career receiving touchdown in Las Vegas Bowl against Boise State making two catches for nine yards ... Also rushed for six yards against the Broncos off a career-high three attempts ... Rushed for 23 yards off only attempt against Arizona ... Recorded first career catch against Cal finishing the game with two catches for eight yards ... Made UO debut at Arizona State catching one pass for -5 yards ... Caught one pass for -1 yard at UCLA. 2017 — Did not see any action during the 2017 season ... Recorded two solo tackles during the Spring Game. 2017 — Saw action in all 13 games making seven starts ... Finished the seaosn with 49 total tackles including eight tackles for loss and two sacks ... Breakout game at UCLA making a career-high 11 tackles, nine solo, including one sack ... Logged eight tackles and one QB hurry against Arizona ... Recorded five tackles, including a career-high two tackles for loss, in the Las Vegas Bowl against Boise State ... Made four tackles including one tackle for loss against Utah ... Logged three tackles in the season opener against Southern Utah ... Also made one pass breakup ... Made three tackles at Wyoming ... Recorded first career tackle-for-loss against Wyoming finishing the game with 1.5 ... Logged three tackles at Arizona State including 1.5 tackles for loss and first career sack ... Also recorded first career fumble recovery against the Sun Devils ... Set career-high with two pass breakups at Stanford while recording one tackle ... Recorded three tackles against Cal and Washington State ...Finished the game against Oregon State with two tackles, one for a loss, and one QB hurry ... Made two tackles against Nebraska ... Logged one tackle at Washington ... Recipient of the Len Casanova Award as voted on by teammates. 2017 — Saw action in all 13 games earning 11 starts as a freshman ... Finished the season with 34 tackles including 4.5 tackles for loss and two sacks ... Recorded a career-high five tackles at Washington ... Made first career sack against Cal finishing the game with a four tackles ... Made four tackles, one tackle for loss, against Boise State in the Las Vegas Bowl ... Logged two tackles, including one sack, against Washington State ... Rated as the No. 1 interior defensive lineman in the Pac-12 following the game against the Cougars according to Pro Football Focus ... Made three solo tackles against Arizona State and Utah ... Recorded three tackles, including one tackle for loss, at Stanford ... Logged three tackles against Oregon State including 0.5 tackles for loss ... Assisted on three tackles against Arizona ... Earned first career start at Wyoming ... Recorded first career solo tackle against Nebraska finishing the game with two total tackles ... Made two tackles at UCLA ... Named to the 247Sports True Freshman All-America team ... Received the Freshman of the Year Award as voted on by teammates. 2017 — Injuries in the spring sidelined him during the 2017 season. 2017 — Did not see any action during the season. 2017 — Made appearances in five games, earning starts against Nebraska, Wyoming and Cal ... Made 20 tackles on the year including three tackles for loss ... Recorded two tackles, including a career-high 1.5 tackles for loss, against Cal before leaving the game due to injury ... Logged two tackles against Nebraska in first start of the season ... Also had one pass breakup while assisting on one tackle for loss against the Cornhuskers ... Recorded five tackles against Southern Utah ... Logged a season-high seven tackles, five solo, at Wyoming ... Made four tackles, including one tackle for loss, at Arizona State ... Honorable Mention Academic All-Pac-12 seelction ... Named UO's Outstanding Walk-On Award winner as voted on by teammates. 2017 — Made one appearance in Oregon's regular season finale against Oregon State ... Recorded one 11 yard reception during the Spring Game. BEFORE OREGON — Recorded 24 receptions for 346 yards (14.4 avg.) as a senior in 2013 . . . Notched 412 career yards in 22 games . . . Also played basketball and baseball at Clackamas. 2017 — Made appearances in all 13 games finishing the season 9-of-12 in field goal attempts ... Perfect on the year converting 63-of-63 PAT attempts ... Recorded 42 touchbacks on 84 kickoff attempts ... Went 4-of-4 in PAT attempts at the Las Vegas Bowl against Boise State to finish the year a perfect 63-of-63 ... Recorded a season-high two field goals against Utah while converting all four PAT attempts ... Accumulated a season-high 15 points against Oregon State going 9-for-9 on PAT attempts while converting both field goal attempts ... Made two out of three field goal attempts against Arizona converting all six PATs ... Made first field goal of the season against Cal converting a 42-yard attempt ... Converted all six PAT attempts against the Golden Bears ... Perfect in the season opener against Southern Utah connecting on all 11 PAT attempts to set a new career high ... Went six-for-six in PAT attempts against Nebraska ... Converted on all seven PAT attempts at Wyoming ... Went five-for-five in PAT attempts at Arizona State ... Made his only field goal attempt against Washington State from 20-yards out ... Recorded one field goal at Washington connecting from 30-yards out ... Missed 32-yard field goal attempt at UCLA, but converted both PAT attempts ... Also converted on his sole PAT attempt against the Cougars ... 1-for-1 on PAT attempts at Stanford. 2017 — Saw action in eight games ... Made debut in the season opener against Southern Utah with one punt for 46 yards ... PAT holder in final five appearances of the season 2016 – Did not play in any games during the season. 2017 — Did not see any action during the 2017 season ... Recorded one 11 yard reception during the Spring Game. 2017 — Saw action in five games throughout the season. 2017 — Saw action in all 13 games finishing the season with five total tackles ... Recorded first career tackle in his UO debut against Southern Utah ... Logged a career-high two tackles at Wyoming ... Assisted on two tackles against Oregon State. 2017 — Made appearances in all 13 games finishing the season with five tackles ... Recorded first solo tackle of the year at Wyoming ... finished the game with three tackles against the Cowboys ... Assisted on two tackles against Oregon State ... Honorable Mention Academic All-Pac-12 selection. 2017 — Saw action in nine games earning one start against Washington State ... Finished the season with 15 total tackles ... Earned significant playing time at linebacker against California, finishing with a career-high six tackles ... Recorded four tackles against Oregon State ... Made three tackles in first career game in season opener against Southern Utah ... Finished the Arizona State game with one tackle ... Made one tackle against Washington State. 2017 — Started all 13 games playing the first 10 at right tackle before moving to right guard for the final three games ... Integral part in Oregon’s 3,263 rushing yards gained in 2017 ... Oregon finished the year ranked 12th in FBS averaging 251.0 yards rushing per game ... CoSIDA All-Academic District 8 selection ... Named First-Team Academic All-Pac-12 ... Received Honorable Mention All-Pac-12 honors ... Academic Excellence Award recipient as voted on by teammates. HONORS AND AWARDS 2017 Honorable Mention All-Pac-12 Conference Honorable Mention Academic All-Pac-12 Conference Pro Football Focus All-Pac-12 Team (Week 8) Len Casanova Award (Leadership Award as Voted on by Teammates) 2016 Honorable Mention Academic All-Pac-12 Conference Second-Team Academic All-Pac-12 Conference 2017: Started at center in all 13 games ... Integral part in Oregon’s 3,263 rushing yards gained in 2017 ... Oregon finished the year ranked 12th in FBS averaging 251.0 yards rushing per game ... Honorable Mention Academic All-Pac-12 selection ... Received Honorable Mention All-Pac-12 honors ... Len Casanova Award recipient as voted on by teammates. 2017 — Made appearances in 11 games ... Recorded his only tackles on the year against Oregon State, assisting on two tackles. 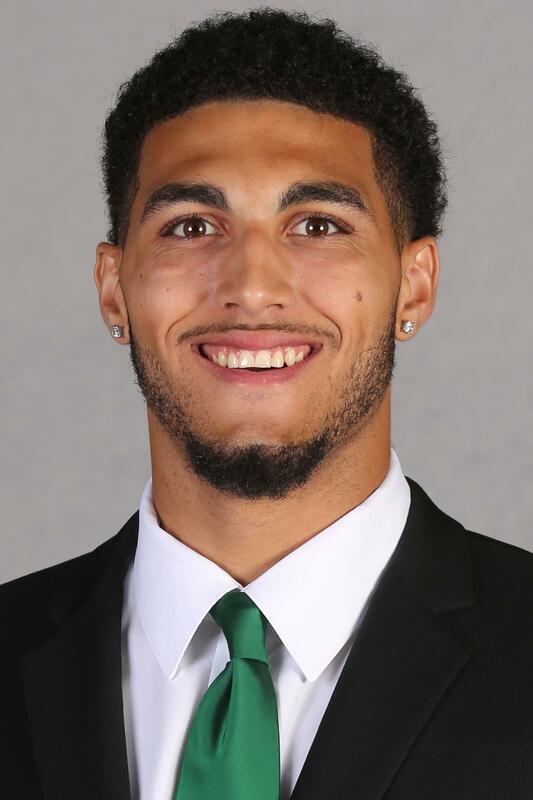 2017 – Appeared in seven games before injuries ended his senior season. 2017 — Saw action in all 13 games as Oregon’s go-to long snapper on punts and field goals ... Made one tackle on special teams at Wyoming ... Invited to play in the 2018 Reese's Senior Bowl. 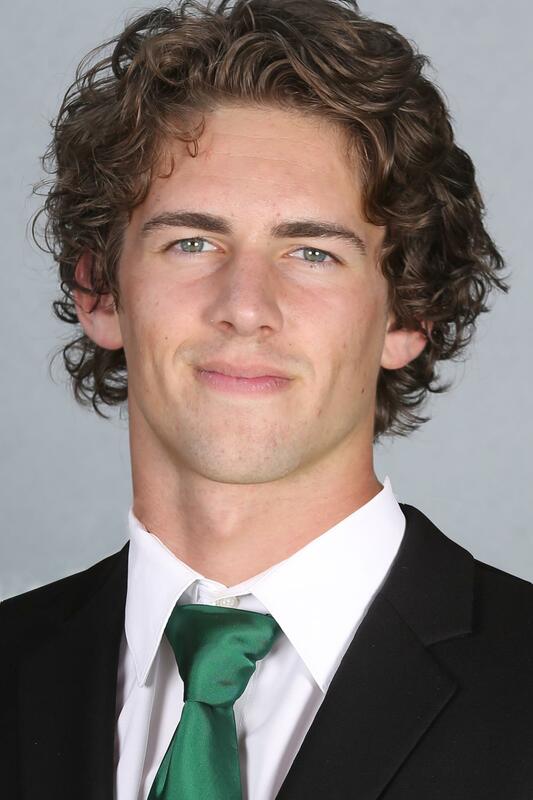 2016- Appeared in every game as long snapper for the Ducks... Accurately delivered all 134 snaps to Oregon punters and holders... Executed a creative slide to down a punt at the three-yard line at USC . . . Credited two assisted tackles during the season. 2017 — Appeared in one game, making his Oregon debut against Cal. 2017 — Made one appearance during UO's regular season finale against Oregon State. 2017 — Appeared in nine games ... Broke into the starting lineup for the final two games of the regular season, at right tackle for wins over Arizona and Oregon State, and started the Las Vegas Bowl as well ... Integral to Oregon's 237 average rushing yards during the three-game span ... 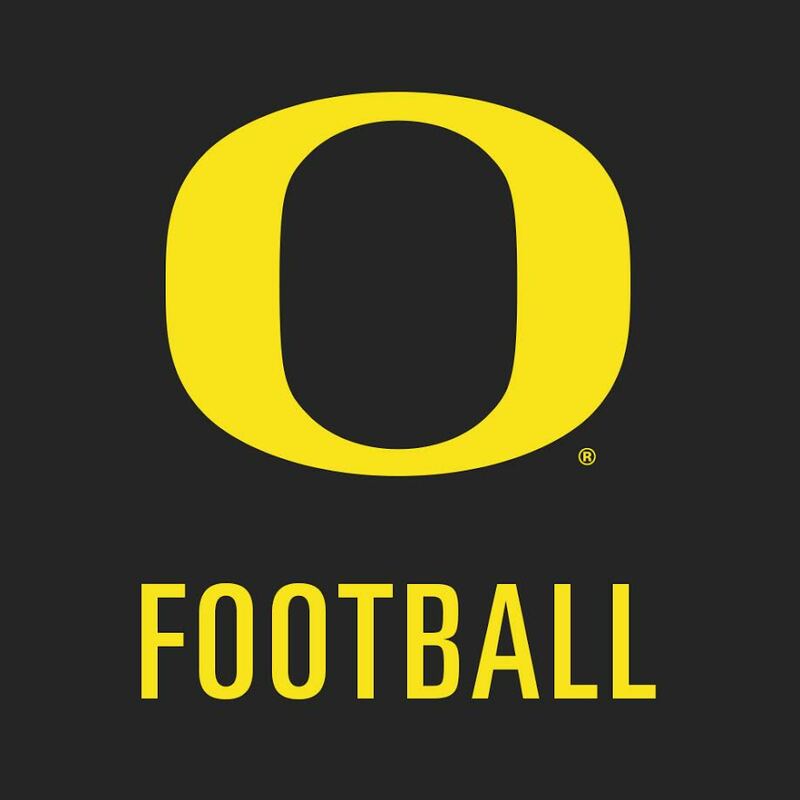 Contributed to Oregon’s 3,263 total rushing yards gained in 2017 ... Oregon finished the year ranked 12th in FBS averaging 251.0 yards rushing per game. 2017 — Did not play in any games during the season. 2016 — Did not see any action during the season but consistently provided his experience and skills to help the Ducks succeed. 2017 — Started all 13 games at left guard ... Integral part in Oregon’s 3,263 rushing yards gained in 2017 ... Oregon finished the year ranked 12th in FBS averaging 251.0 yards rushing per game ... Honorable Mention Academic All-Pac-12 selection ... Received the Most Improved Player Award as voted on by teammates. 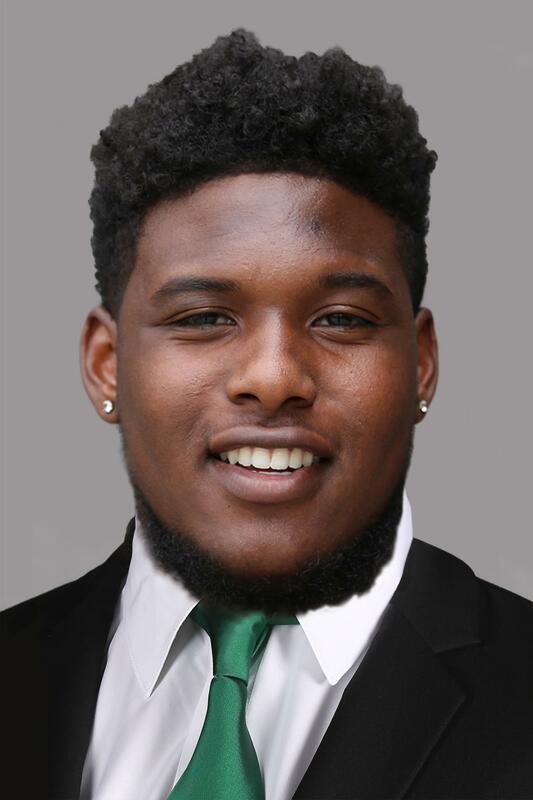 2016 — Started all 12 games at left guard as a redshirt freshman … Key cog in the Ducks finishing second in the league in rushing (246.5 ypg) and 15th nationally in total offense (491.7 ypg) … One of four redshirt freshmen listed as starters on the final depth chart . . . 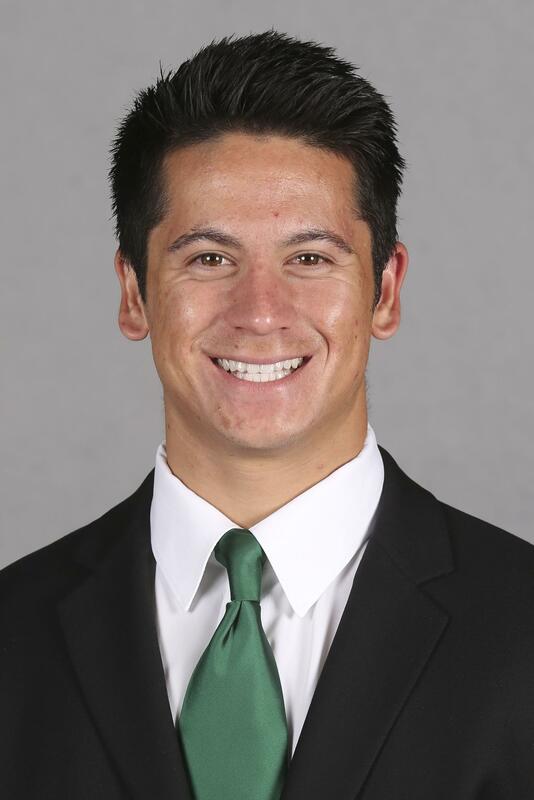 Helped the Ducks run for a season-best 336 yards and five touchdowns at Nebraska … Logged 80 snaps or more against Colorado, California, and Utah, including a season-high 89 plays in Salt Lake City … Helped provide the protection for the offense to accumulate 271 of its 575 yards of total offense in the fourth quarter in Oregon’s come-from-behind win over Utah … Named honorable mention academic All-Pac-12 Conference. 2017 — Appeared in six games, earning first career start against UCLA. 2016 — Participated in Oregon spring drills after graduating early from high school in order to enroll at Oregon in time for the start of the winter term ... Redshirted his freshman season. BEFORE OREGON — Drew rave reviews for his play on both the offensive and defensive lines for the undefeated Pioneer Valley League champions who helped lead the Hillmen to the semifinals of the 2015 Sac-Joaquin Section Division III state championship playoffs and a 12-1 record ... The PrepStar All-West Region pick ranked seventh on Scout.com’s list of the state’s top offensive tackles and eighth on its list encompassing the West region after keying the program’s dominating ground game that rushed for over 4,500 yards (351.0 avg.) and 59 touchdowns his senior season ... Characterized as an overpowering blocker who constantly put the opposition on their backs as his team accounted for five games of rushing totals greater than 420 yards, including 537 yards against Patterson ... Added 45 tackles, 2.5 quarterback sacks, and a pair of blocked field goals his final two prep seasons ... The two-time first-team All-Metro selection (Sacramento Bee) also earned first-team All-Sac-Joaquin Section and first-team All-Northern California honors by MaxPreps.com to culminate his senior year after claiming second-team All-Northern California recognition in 2014. 2017 — Made one appearance in Oregon's regular season finale against Oregon State. 2017 — Started in all 13 games his senior season ... Did not allow a quarterback sack or hit all season according to Pro Football Focus ... Allowed only three QB hurries according to PFF ... Integral part in Oregon’s 3,263 rushing yards gained in 2017 ... Oregon finished the year ranked 12th in FBS averaging 251.0 yards rushing per game ... Pro Football Focus First-Team All-Pac-12 selection ... Named First-Team All-Pac-12 ... Seventh linemen in UO history to be awarded the Morris Trophy as the Pac-12 Offensive Lineman of the Year, voted on by opposing defensive linemen ... Invited to play in 2018 Reese’s Senior Bowl. 2017 — Started nine games at right guard ... Integral part in Oregon’s 3,263 rushing yards gained in 2017 ... Oregon finished the year ranked 12th in FBS averaging 251.0 yards rushing per game. 2015 — Continued his ascension within the trenches as an experienced reserve who was at home at either offensive guard outpost ... Stepped onto the field for 12 of 13 games, including 35 plays in the Alamo Bowl loss to TCU and 33 vs. California ... Logged more playing time the second half of the season when the Ducks closed the regular season with six consecutive triumphs ... Included among his better performances was an outing against the Golden Bears when Oregon ran for 477 yards among its single-game school-record 777 yards of total offense ... Was a part of an offensive line that helped pave the way for a contingent that ranked fifth in the country in total offense, rushing, and scoring, in addition to his role in helping Oregon extend its hold on the league's rushing title for the 10th year in a row ... Concentrated his efforts on expanding his versatility in the 2016 off-season, working to improve his proficiency at all five interior line positions. 2017 — Made appearances against Southern Utah, Cal and Utah. 2017 — Saw action in all 13 games as a freshman, making 10 starts ... Finished the year with 21 total catches for 299 yards and one touchdown ... Accounted for a single-game high 80 receiving yards off four receptions against Nebraska ... Snagged a stellar diving catch for 51 yards against the Cornhuskers ... Recorded his first career touchdown at Arizona State finishing the game with 2 catches for 24 yards ... Accounted for 53 receiving yards against Wyoming tying career-high with four receptions ... Pulled down one catch for 50 yards against Arizona ... Caught two passes for 39 yards against Southern Utah ... Two receptions for 15 yards against Cal ... Reeled in three passes for 17 yards against Washington State ... Logged two receptions for 15 yards in UO's bowl game against Boise State ... Caught one pass for six yards against Utah. 2017 — Saw action in five games finishing the season with 23 yards recieving off three catches ... Recorded a career-high 12 receiving yards off one catch at Wyoming ... Made one reception for eight yards against Southern Utah ... Caught one pass for three yards against Cal. 2017 — Saw action in all 13 games earning starts against California and UCLA ... Finished the year with six catches for 89 yards and one touchdown ... Set career-highs with two receptions for 47 yards, including a career-long 35-yard reception, against Arizona ... Recorded one catch for five yards and first career touchdown against Utah ... Made first career catch at UO in game against Nebraska for 22 yards ... Pulled down one reception for 11 yards at UCLA ... Caught one pass in his first career start against Cal for four yards ... Honorable Mention Academic All-Pac-12 selection. 2016 — Graduated from high school early in order to facilitate enrolling at Oregon in time for the start of the spring term ... Redshirted. 2017 — Saw action in 13 games earning starts against Wyoming, Arizona State and Washington State ... Finished his first season as a wide receiver with 274 receiving yards and three touchdowns off 20 catches ... Also logged seven tackles on special teams ... Recorded career-highs of five catches for 61 yards against Washington State including a career-long 39-yard reception ... Caught first career receiving touchdown in game against Nebraska ... Recorded 41 receiving yards against NU ... Reeled in a touchdown on his only catch against Cal for 37 yards ... Logged 29 receiving yards and a touchdown off two catches in the Las Vegas Bowl against Boise State ... Caught two passes totaling 27 yards at Arizona State ... Logged one reception against Oregon State for 28 yards ... Recorded two catches for 15 yards against Stanford ... Pulled in two receptions for 12 yards in first appearance as a wide receiver for Oregon against Southern Utah ... Recorded first career start at wide receiver against Wyoming ... Caught one pass for 16 yards at UCLA ... Made one catch for eight yards against Utah ... Named First-Team All-Pac-12 ... Voted UO's Special Teams MVP by his teammates. 2017 — Played in 10 games earning his first career start against California ... Made his first-ever catch at UO against Cal, finishing the game recording his only two catches of the season for 20 yards. 2016 – Saw action in two games including game six vs. Washington State recording one unassisted tackle. 2017 — Saw action in six games finishing the year with 21 rushing yards and 10 receiving yards ... Accounted for 22 all-purpose yards against Southern Utah in first career appearance ... Caught one pass for five yards while rushing for 17 yards on two attempts ... Rushed for four yards on his only attempt against Washington State ... Made one catch for five yards against Utah. 2017 — Saw action in all 13 games finishing the year with six tackles, including one tackle for loss ... Recorded two tackles in the season opener against Southern Utah ... Logged two tackles, including one tackle for loss, against Oregon State ... Assisted on one tackle at Arizona State ... Made one tackle against Cal ... Honorable Mention Academic All-Pac-12 selection. 2016 — Saw action in five games during the season finishing with nine tackles and 1.5 tackles for loss ... Made first career start at Nebraska, finishing with season-high four tackles (3 solo) ... Picked up first career sack in win over Virginia ... Finished with 0.5 tackles for loss in first career game vs. UC Davis ... Made three tackles at Cal. 2015 — Redshirted his freshman season in order to provide more time for his body to mature ... Named the defense scout team player of the year following his redshirt season. 2017 — Played in nine games accounting for 11 tackles and 2.5 tackles for loss ... Tied career-high with four tackles at Arizona State ... Made first career tackle for loss against the Sun Devils finishing the game with 1.5 ... Accumulated two tackles against Southern Utah and Arizona ... Logged two tackles and 0.5 tackles for loss against Oregon State ... Assisted on one tackle for loss against Utah. 2017 — Started all 13 games at defensive end finishing the year with 45 total tackles including six tackles for loss and five sacks ... Recorded a career-high eight tackles against Arizona ... Logged five tackles at Arizona State, tying career-high with four solo tackles ... Also made five tackles at Washington ... Set a career-high with two sacks against Cal finishing the game with four tackles, one fumble recovery, and one quarterback hurry ... Made four tackles, including one sack and one quarterback hurry, against Washington State ... Logged four tackles and 0.5 tackles for loss at Stanford ... Recorded three tackles against Southern Utah including one sack for a seven yard loss ... Made one pass breakup against SUU ... Recorded three tackles in Lasa Vegas Bowl vs. Boise State ... Accounted for three tackles, one solo, at Wyoming ... Recorded two tackles at UCLA ... Logged two tackles and 0.5 tackles for loss against Oregon State ... Assisted on one tackle against Nebraska ... Recorded one sack against Utah ... Tough Man Award recipient as voted on by teammates. 2017 — Saw action in all 13 games during his freshman season ... Oregon's go-to punter with 62 attempts on the year to finish with a 38.4 average ... Placed 16 punts inside the 20 during the season with four punts over 50 yards ... Kicked a career-high eight punts, including a career-long 51-yard punt, against Boise State in the Las Vegas Bowl totaling a career-high 327 yards ... Logged seven punt attempts at Arizona State totaling 292 yards ... Five of seven punts against ASU landed inside the 20-yard line ... Recorded seven punts against Washington State for a total of 269 yards ... Logged six punts against Cal and Washington for a total of 231 and 207 yards, respectively ... Attempted five punts at Stanford tying his career long of 50 yards ... Recorded five punt attempts against Nebraska accumulating 185 total yards ... Kicked four punts against Utah tying career-long 50-yard punt for the third time this season ... Logged four punts at UCLA totaling 163 yards ... Kicked three punts for a 41.3 yard average against Oregon State ... Made collegiate debut against Southern Utah recording two punts for a combined 80 yards ... Attempted three punts for 89 yards at Wyoming ... Made two punts for a total of 52 yards against Arizona. 2017 — Started all 13 games at defensive end finishing the season with a team-high 15 tackles for loss and 6.5 sacks ... Accumulated 59 total tackles and seven pass breakups throughout the year ... Breakout game at Arizona State recording a career-high nine tackles, seven solo ... Also earned a career-high five tackles for loss including three sacks ... Tied career-high with nine tackles in Las Vegas bowl vs. Boise State ... Made six tackles, 2.5 tackles for loss, at Stanford ... Also recorded one pass breakup and one QB hurry against the Cardinal ... Logged six tackles, 0.5 tackles for loss, and one QB hurry against Oregon State ... Also made one pass breakup leading to an interception return for a touchdown against the Beavers ... Recorded five tackles including two tackles for loss and one sacks against Utah ... The No. 3 rated defensive lineman in the Pac-12 and 10th in FBS according to Pro Football Focus after Week 9 win over Utah ... Earned first career start in the season opener against Southern Utah ... Recorded five tackles including one tackle for loss against SUU ... Blocked a 37-yard field goal attempt by the Thunderbirds ... Made five tackles with 1.5 tackles for loss, including one sack, against Washington State ... Logged four tackles, including one tackle for loss, at Washington ... Recorded three tackles, including an assist on a sack, against Cal ... Broke up a career-high two passes against the Golden Bears ... Made three tackles, including 1.5 tackles for loss and one sack, against Arizona ... Accounted for one tackle and one quarterback hurry in the game against Nebraska ... Recorded three tackles and a pass breakup at Wyoming ... Made one tackle at UCLA ... Second-Team All-Pac-12 selection ... Received the Joe Schaffield Award, defensive line MVP, as voted on by teammates. 2017 — Did not see any action during the 2017 season ... Recorded three solo tackles during the Spring Game. 2017 — Saw action in 12 games earning starts in the first two games of the year against Southern Utah and Nebraska ... Finished the season with 22 total tackles, including 2.5 tackles for loss and one sack ... Recorded a career-high four tackles, three solo, against Arizona ... Tied career-high with four tackles in UO's bowl game against Boise State ... Made first career sack against Utah finishing the game with three tackles ... Also forced a fumble against the Utes ... Logged two tackles, including one tackle for loss, against Oregon State ... Recorded first career solo tackle against Nebraska finishing the game with two total tackles ... Also assisted on a tackle-for-loss against NU ... Recorded a career-high two solo tackles at Arizona State ... Made two tackles at Stanford and Washington ... Recorded one tackle at UCLA.